With the innovative Well-Being Center on the way, coupled with a holistic approach to serving the needs of students, Richmond is at the forefront of a well-being movement in higher education. Shuman sought out her mentor in WILL*, Malori Holloman, ’13, who had a directive to help get her back on track. “I was so grateful because she said, ‘This is something you need to integrate into your life. Here’s a specific recommendation for a person I know and trust,’” Shuman says. That person was Kristen Day, a staff psychologist at Counseling and Psychological Services, or CAPS. Shuman wasn’t able to fit CAPS into her regular schedule during her first year, but finding a therapist she connected with emotionally did wonders to help her understand her issues. Settling back into a consistent fitness regimen also helped — a runner in high school, Shuman also made frequent use of the Weinstein Center when she wasn’t working — but regular appointments with Day became a crucial part of maintaining her well-being as a student. Shuman, who now works for Merrill Lynch, a position she landed thanks to a chance encounter with a Weinstein Center regular, was well-positioned to take advantage of the resources she needed to keep her head above water and eventually thrive. But what about students who don’t have the same access or aren’t comfortable visiting a therapist or seeking medical care when they need it? And how can the university help students avoid getting to the point where they need clinical services? Richmond has long worked to alleviate issues tied to the well-being of students using an approach called “upstream intervention.” Now it’s strengthening them significantly. The university will soon build the Well-Being Center — an innovative facility that will operate as a one-stop shop and personalize a comprehensive range of services for students. Construction begins in March and is scheduled to be finished by the 2020–21 academic year. The Well-Being Center is poised to set a national standard in higher education. The building will house CAPS, the Student Health Center, and the newly formed Health Promotion — which manages Richmond’s well-being education and prevention initiatives — in the same physical space. These distinct units, in addition to University Recreation (previously Recreation and Wellness), now fall under one umbrella: Health and Well-Being. The university’s longtime director of recreation and wellness, Tom Roberts, is now the associate vice president of health and well-being, charged with overseeing the integration of the units that will come together in the new Well-Being Center. He has been in constant communication with colleagues Peter LeViness, director of CAPS, and Dr. Lynne Deane, medical director of the Student Health Center, to plan the new building. The process has already started. One tangible example is the URWell website, where each department is represented and students can access a suite of well-being resources. But even more significant is the use of the word “well-being” itself. “Wellness” is typically associated with physical health. “Well-being” is a broader term that includes the many ways people function in all facets of their lives. A pair of Spider alumni deserve credit for making the Well-Being Center possible. The Walraths — university trustee Michael, ’97, and Michelle O’Donoghue, ’98 — made the lead gift for the facility through their Walrath Family Foundation. The couple’s connection to Roberts and to well-being in general goes back to their time as students. Both worked for Campus Recreation — Roberts said Michelle, a health and sport science major as an undergraduate, was in charge of the fitness program, and Michael was an intramural sports official. While the Walraths’ philanthropic interests vary, nutrition and healthy lifestyles are some of the causes they’re most devoted to. They have a film production company, Atlas Films, which has made documentaries about issues like the food industry (Fed Up) and the global water crisis (Tapped), and Michelle opened a health-conscious restaurant on Long Island, Organic Krush. For those with knowledge of the Well-Being Center’s details, there’s a palpable sense of excitement. Yes, it will be a state-of-the-art facility — with features sure to be popular with students, faculty, and staff, including sleep pods, massage chairs, and a demonstration kitchen — but its comprehensive integration of services is what makes it unique. On its upper floors, the building will house the Student Health Center, CAPS, and the office of the university’s sexual misconduct education and prevention coordinator, Britnie Hopkins. The first floor will house Health Promotion, an entry point that falls in line with the university’s strategy of “catching students upstream,” as Roberts puts it. Whether it’s a session on mindfulness involving the chaplaincy or resources emphasizing the importance of proper sleep and nutrition, the idea is to help students stave off more serious, preventable issues down the road. 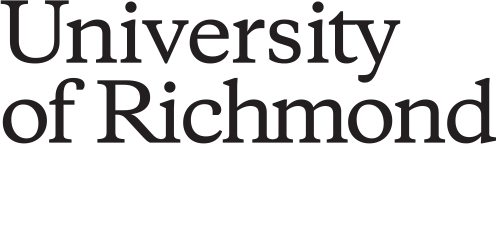 Richmond is part of an innovative consortium of institutions — with the University of Florida, Georgia Tech, North Carolina State University, and Virginia Tech — formed to help break down silos on their own campuses and in their professional organizations to improve the well-being of college students nationwide. “I think we’re just thinking forward and recognizing that there is a mental-health crisis and we need to do something about it,” Roberts said. 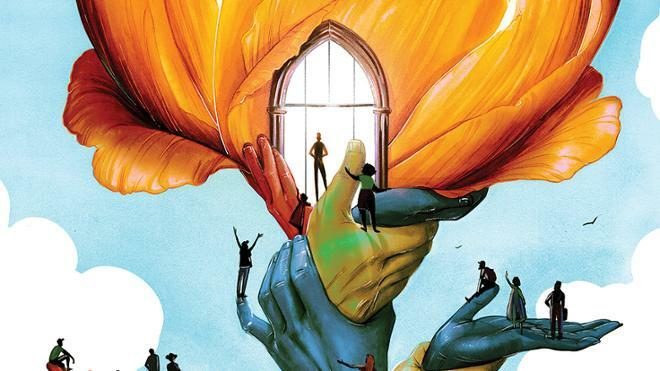 Spiders may not think twice about another way that the university stands out in its approach to well-being, but it’s rare in higher education: Students are required to take two wellness courses to graduate. Having each of the units in the same space enables “warm handoffs,” or referrals among practitioners. For example, if a student visits the Student Health Center because of a physical ailment but mentions he’s also dealing with anxiety, a doctor can simply walk him upstairs — as opposed to instructing him to walk across campus — for prompt treatment. Even the location of the Well-Being Center encourages holistic thinking. Its proximity to another future addition to campus, the Queally Athletics Center basketball training facility, means it will be easily accessible to Spider student-athletes. It will also be connected to the Weinstein Center, meshing with the long-held wisdom, backed by modern research, that exercise is, indeed, medicine. While the announcement of the facility was made in April, plans for it have been in the works for several years. Roberts, along with Deane and LeViness, scouted facilities on other campuses to ensure that Richmond’s is best equipped to meet the needs of students. “We’re at the forefront,” Roberts said. “But it’s really hard to know what we want in this building because we’re so far ahead of everybody. It’s going to look different in two years when it opens, and three years after it opens, it’s going to look different again. To that end, the university is enlisting the entire campus community — staff like Roberts and his colleagues, faculty, and current students — to gain additional insight into how the Well-Being Center can best serve Spiders. During the feel-good process of developing such a potentially transformative building, at the top of mind for all constituents is a sobering statistic: In the last 15 years, the percentage of full-time, degree-seeking undergraduate and graduate students visiting CAPS has increased from 9.2 to 20.4. “On every single campus, it’s a challenge to keep up with the demand for college mental health,” said LeViness, who is in charge of the Association of University and College Counseling Center Directors’ annual national survey. Ally Charleston, ’20, didn’t hesitate to go to CAPS when she struggled with the adjustment to college life as a freshman. Diagnosed with bipolar II disorder, Charleston has become an advocate for CAPS on campus and writes a blog about her mental health. She is open about her diagnosis, including for this story. Charleston has worked with CAPS to share information about mental-health resources on campus and on an open-mic event about mental health as part of her role as the chair of student affairs on the Westhampton College Government Association’s executive board. This academic year, she will intern with CAPS and participate in the JED Foundation Campus Program, a national mental-health initiative. It’s a positive development that more students feel comfortable seeking help for their emotional well-being. But in creating the Well-Being Center to address Spiders’ needs in a holistic fashion, one very important question remains: How will it be received by Richmond’s students? Shuman is also optimistic about the new center’s potential. The EverFi Prevention Excellence Award for Outstanding Sexual Assault Prevention Efforts. Being a finalist for the Active Minds Healthy Campus Award. Zoe Rydzewski, ’18, winning the National Association of Student Personnel Administrators (NASPA) Outstanding Peer Educator of the Year for her work with the Wellness Education Bandits, a campus peer-education group. Aggrey Sam is a senior writer/editor in University Communications.